The stoic profile of a sea stack contrasts with the fading light of dusk amid a turbulent Caribbean surf and colorful evening light. 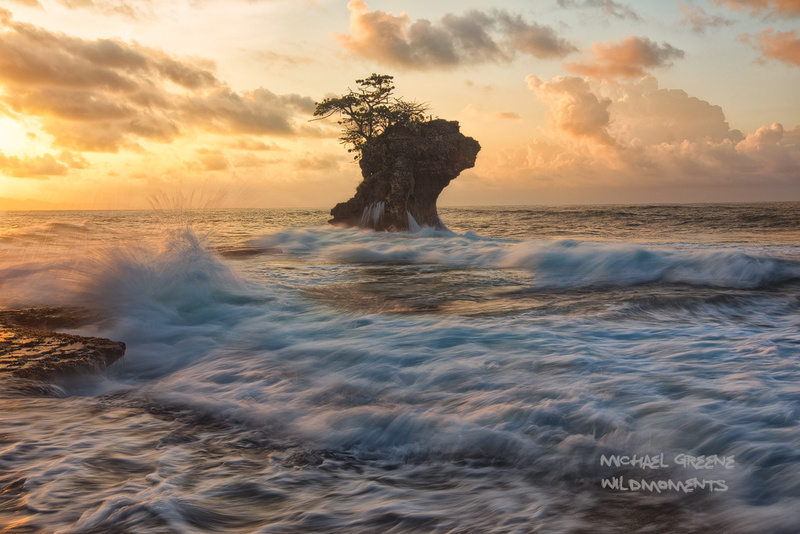 This shot was captured on a summer evening at the Gandoca Manzanillo Wildlife Refuge near Puerto Viejo. Photo © copyright by Michael Greene.